Engineers Without Borders Sweden works to address challenges linked to the Sustainable Development Goals, both in Sweden and around the globe. Through improvements in education, equality, energy poverty and access to water and sanitation we always strive to make a sustainable and long-term impact with our work, for local communities and the Earth as a whole. 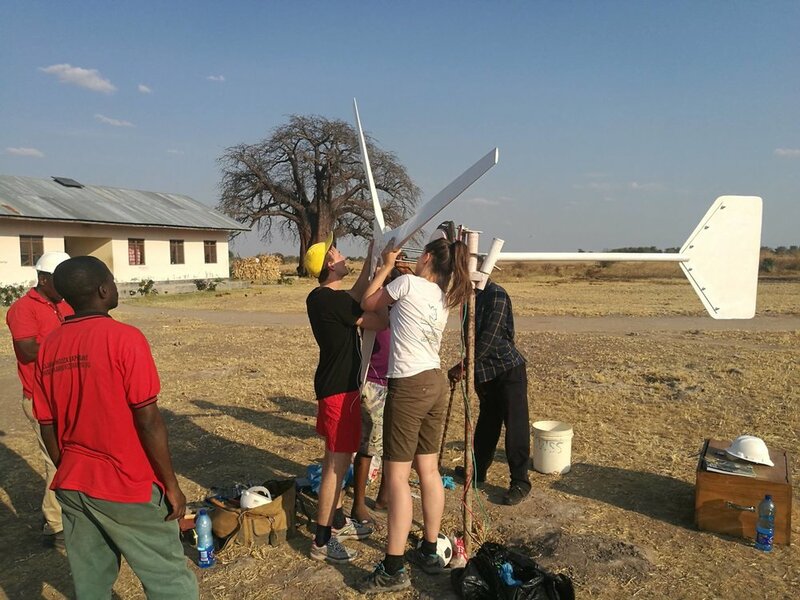 Engineers Without Borders Sweden is a Non-Governmental Organisation striving to make a long-term impact in the work towards the United Nations Sustainable Development Goals. With our engineering expertise from industry and academia, we are active both in Sweden and internationally to solve engineering challenges related to inequality and global development. The access to quality education, reduced inequalities and gender equality, sustainable and cheap energy and clean water and sanitation are some of the key areas in which we are active. We think that everyone has a right to improve their standard of living and we want to provide the means and infrastructure for people to do so, no matter where they live or where they come from. We are inclusive and curious, encouraging local initiatives and are always eager to learn from others. We realise that we cannot just teach engineering, but must also learn about cultures to improve our own way of life. Together we will build an equal and sustainable world and we need everybody to take part! Engineers Without Borders Sweden's work towards the Sustainable Development Goals is split between five different operations. - We do international projects in low-income countries mainly involving energy, water and sanitation. These areas are often combined with work for schools to improve the quality of education. The international projects serve as our knowledge exchange between cultures. - We inspire young people to study engineering or other kinds of higher education. With this work, we try to close the gap between well-off and less privileged areas in Sweden. - Our work within the theme Den Reflekterande Ingenjören revolves around making engineers and engineering students more curious about the world and what they can do with their education to support sustainable development. - Engineer to Engineer connects progressive companies with newly arrived engineers and scientists to improve work and social integration. Engineers and scientists can network and exchange experiences with working professionals in Sweden. - OpenHack is an Open Source hackathon organized to create a platform for collaboration, where organizations and tech-volunteers can meet and exchange both ideas and knowledge. All of these areas further the progress towards the Sustainable Development Goals and the important progress that 193 countries have agreed on. We accept our responsibility for this development and are honoured to be part of the progress. It all started in 2007. On a patch of grass outside the technical university in Gothenburg. A handful of students and a retired engineer decided to start Engineers Without Borders in Sweden (Ingenjörer utan gränser). Early on, seminars with the aim to reflect upon the world and the role that an engineer can have in its development were arranged, and international projects were supported. The interest spread. Things started to happen. After five years, around 100 members were organized in three local chapters. Four international projects were on-going. Seminars were held, and the area of work to inspire young people to become engineers had started. Only two years later, in 2014, the number of members was 600, the number of international projects was 15, and five new local chapters were established. Things had started to happen fast! In the coming years, larger and larger contracts were signed with partners in Sweden and abroad, an office was established, our focus was expanded to include Engineer to Engineer – our effort to facilitate for companies and engineers newly arrived in Sweden from other countries to meet, and OpenHack – a hackathon where the participants are set to use 48 hours, their brains and their programming skills to solve humanitarian and social challenges. In 2017, after 10 years, we are over 1000 members organized in 10 local chapters. We have some 20 international projects ongoing simultaneously, with increasing level of complexity and extent. Weekly, we run several activities to inspire youth to become engineers, support children and youth in studies of technical subjects, organize forums where the world and the role of the engineer are discussed. We assist engineers who have newly arrived in Sweden to find their way into companies that seek for their competence, and we expand and spread the concept of OpenHack. And, there is a lot of interesting stuff in the pipeline!